For those of you who feel the solo form is too slow, Taiji Sword is an ideal start to experience energy moving in the body. All the movements begin in the center (Original Force) and spreads from there into the arms and legs and into the tip of the sword. The inner and outer structure creates a solid foundation and the whole body receives a healthy workout. 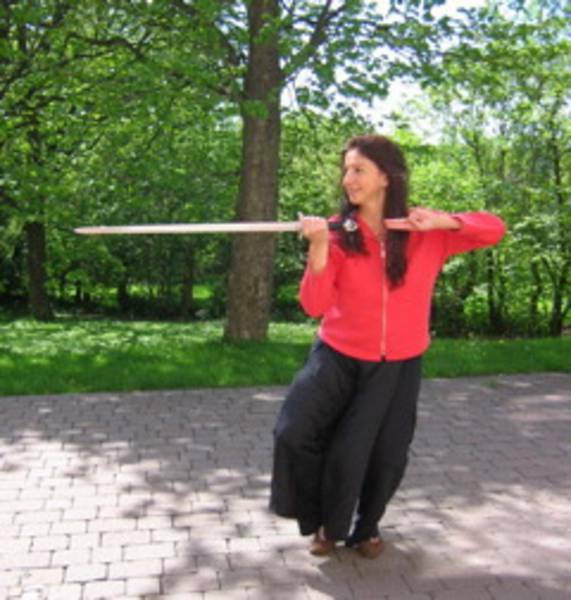 To round up a Taiji Sword sequence we use sword meditations to gather the Qi (life-force) into our center. 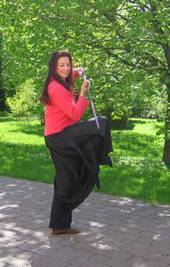 This is one main emphasis beyond learning the sequence of the sword movements: Hold a sword in your hand and out of your center create the movements all the way to the tip of the sword without loosing contact to the soles of your feet. This method is an ideal tool to gain more confidence and centering. You will learn to take clear steps and do powerful cuts do dissolve contact which stop us to live really our full potential. The movements strengthen the connection to the earth and a very good balance to oneself. The contact from the crown center (highest point of your head) to heaven gives us a strong alignment and a clear, inner structure.